Dark Beer Paddlers - Never Say Die!!! 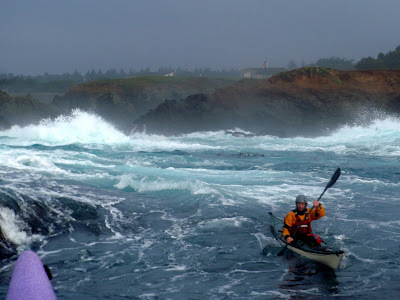 We just celebrated our Second Annual Old Rasputin Paddle and declared this to be an annual event for those of us who love North Coast Brewing Company's Old Rasputin and sea kayaking out of Fort Bragg, California - the home of North Coast Brewing Company and Liquid Fusion Kayaking. 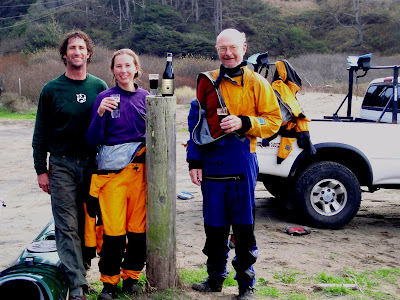 In 2008, we celebrated the conclusion of our paddle with Old Rasputin XI which is North Coast's barrel aged version of Old Rasputin celebrating its 11th anniversary and only sold at the brewery in Fort Bragg. This year, we followed suite with the even smoother and more delicious Old Rasputin XII. YUM!!! 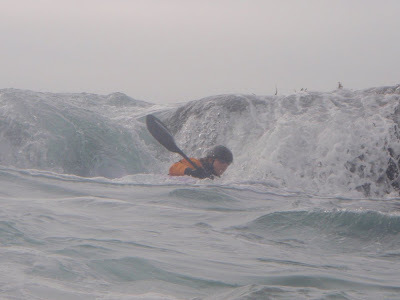 December 2010 - Fort Bragg, CA - Old Rasputin Paddle III - Never Say Die!! !